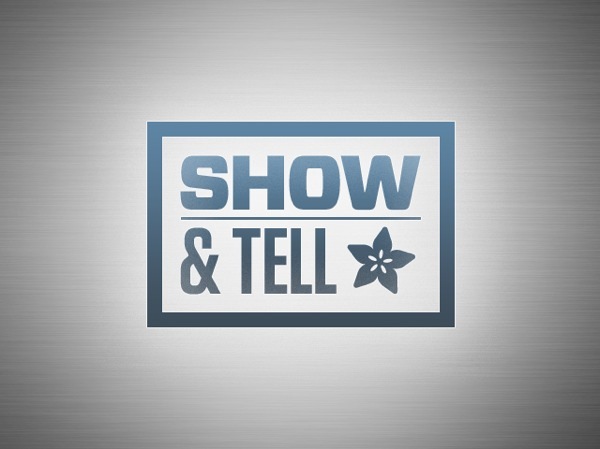 The weekly show-and-tell is SATURDAY NIGHT 3/24/12 at 9:30pm ET! « Adafruit Industries – Makers, hackers, artists, designers and engineers! The weekly show-and-tell is SATURDAY NIGHT 3/24/12 at 9:30pm ET! NEW INSTRUCTIONS ON HOW TO BE ON THE SHOW AND TELL. 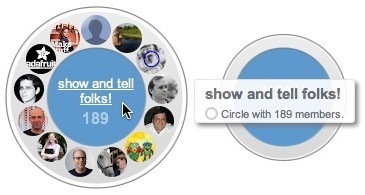 If you are on Google+ and want to join, post a message/comment on Limor’s post on Google+ and say you want to show off a project and she will add you the “Show and Tell” circle. Then just look for the hangout announcement on the very same page later for your invite. There’s an 8 to 10 (at the same time) people limit per hangout, so if it’s full try later or just pop by next week same time. Some weeks are packed! At 9:30pm ET you will see a link to the hang out. Just keep your mics muted until we call on you and have your project ready. For those who just want to watch, you’ll be able to watch it live on Google+ ‘s broadcast feature on Ladyada’s page AND it will be recorded and uploaded to YouTube automatically (1st test is up). The Muppets and the Dalai Lama are up if you want to see other types of hangout examples. Previously we broadcasted the hangouts on Google to Ustream using their Producer tool to capture the hangout. We’re still using Ustream for “ASK AN ENGINEER”. Comments Off on The weekly show-and-tell is SATURDAY NIGHT 3/24/12 at 9:30pm ET!